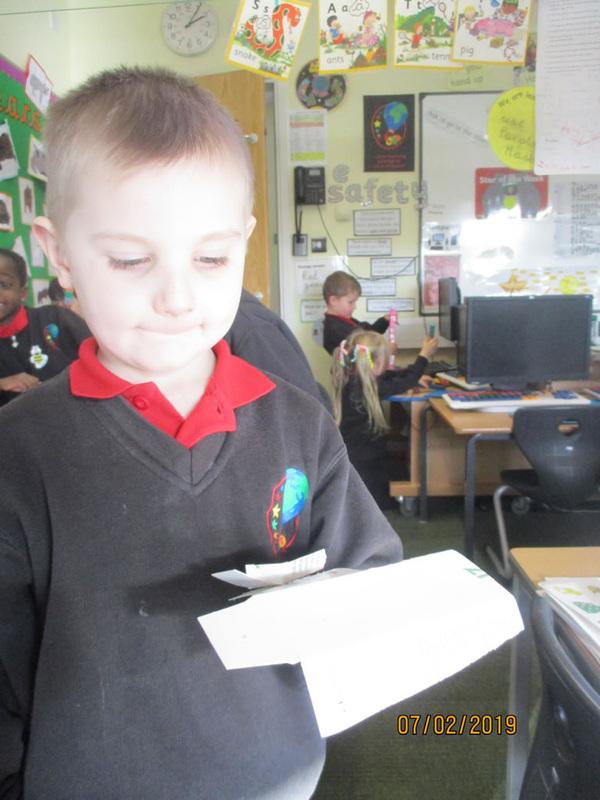 We have had a great first week back talking about what we did on Christmas day and talking about winter. 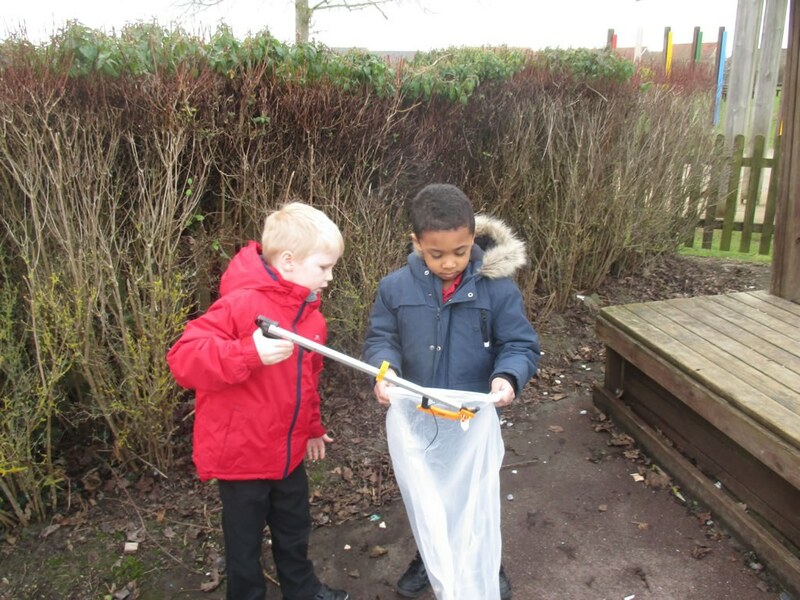 We have enjoyed exploring our new camping role play where we are hunting bears. 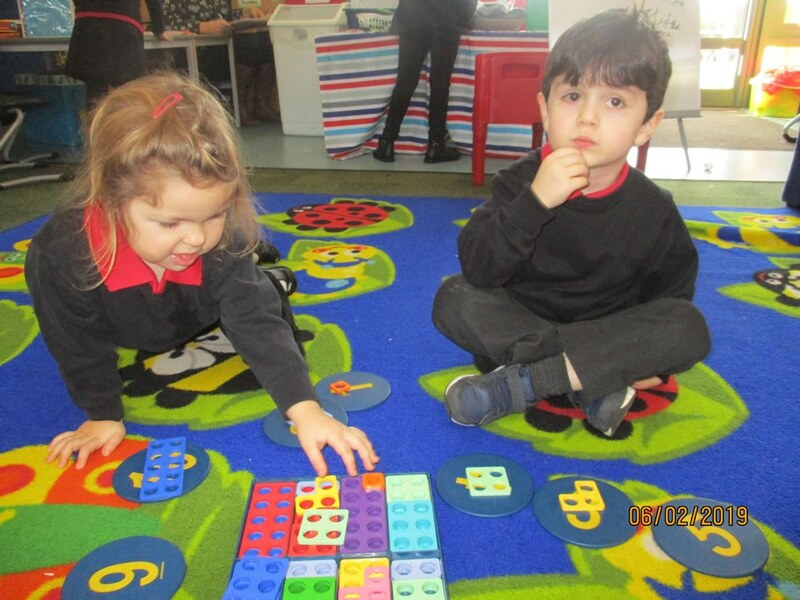 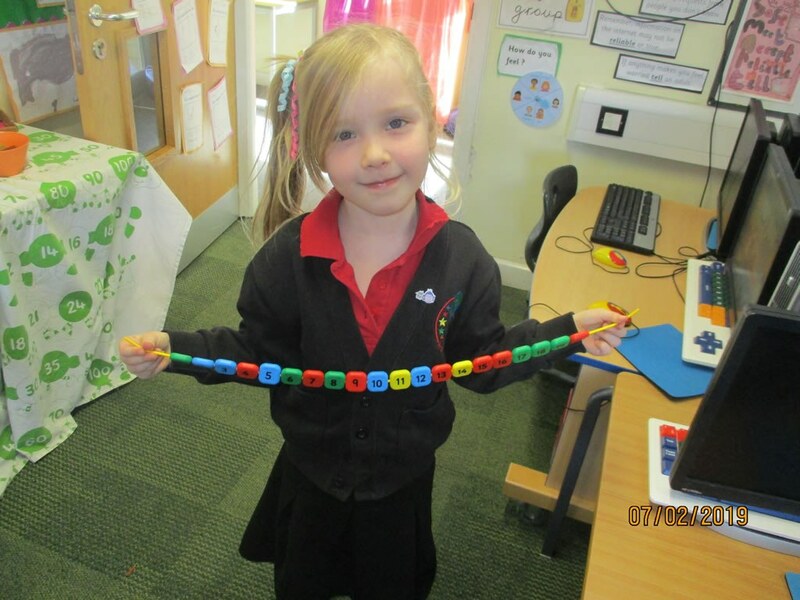 In Maths we have been ordering objects by length and also measuring them with cubes. 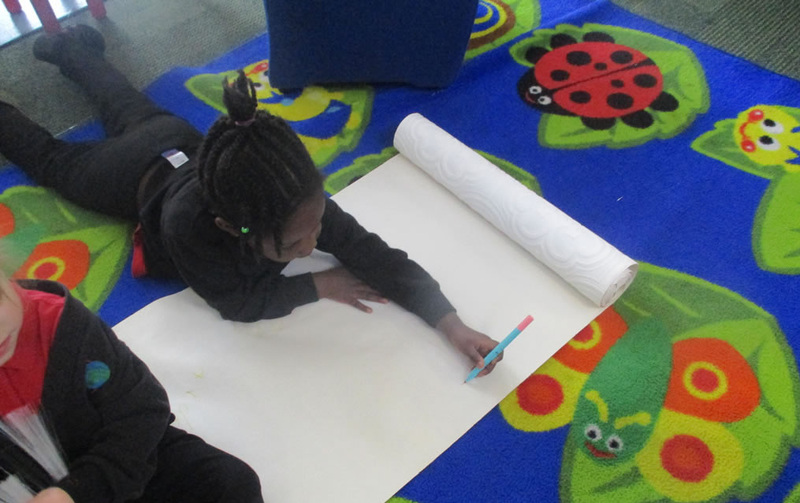 We have also enjoyed having big paper out and our new light box. 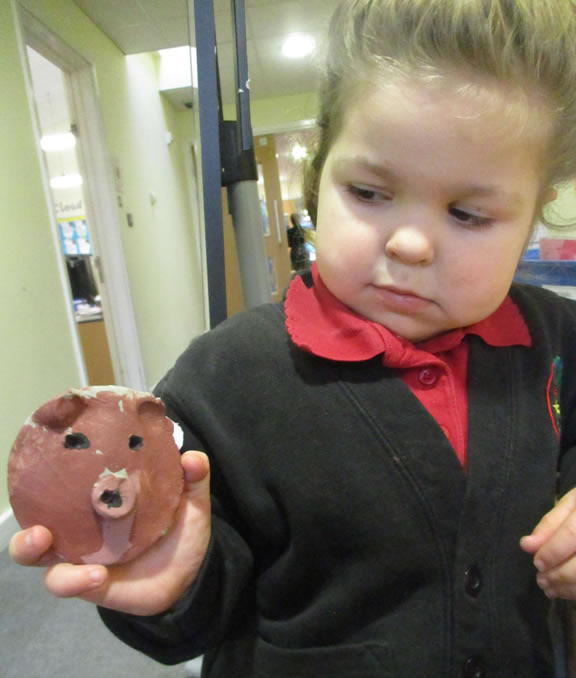 This week we began looking at the story We're Going on a Bear Hunt. 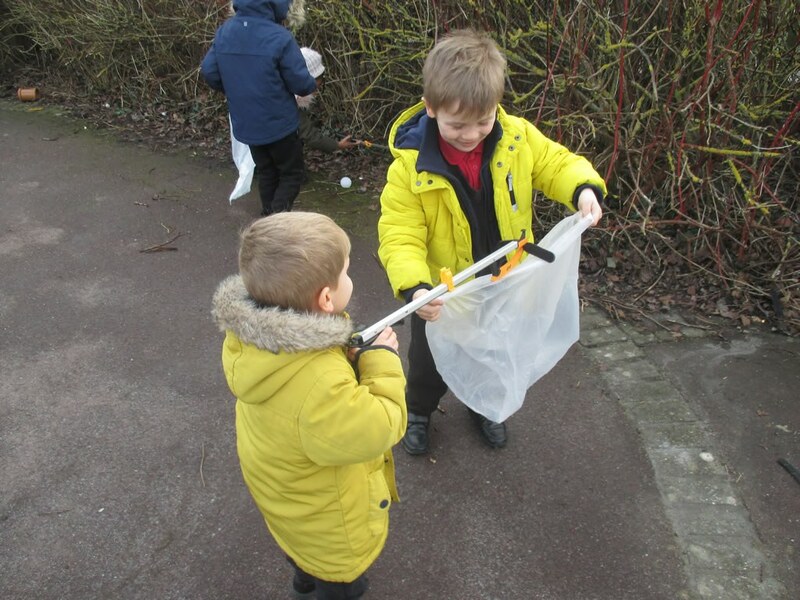 For our writing activity we wrote descriptions of the bear and in our Welly walk we acted out the story pretending to walk through the different environments. 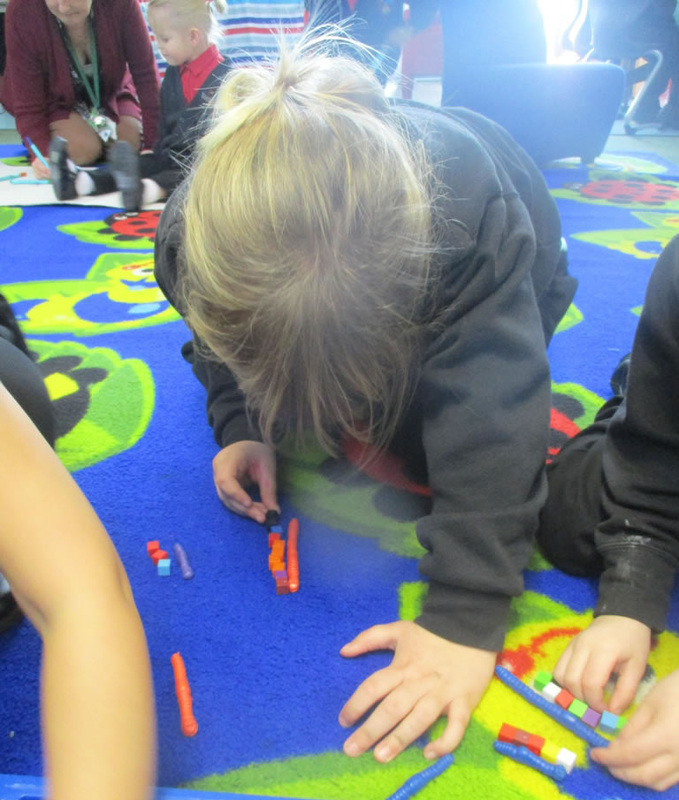 We have been learning about capacity and had fun filling containers with stones, cubes and water to see which held more. 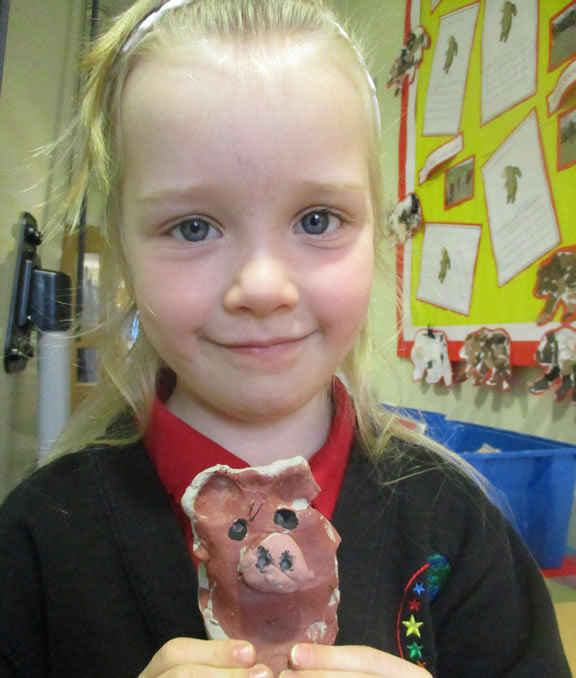 We had a Teddy Bear day where we brought in our own teddies to school and designed our own bear costumes. 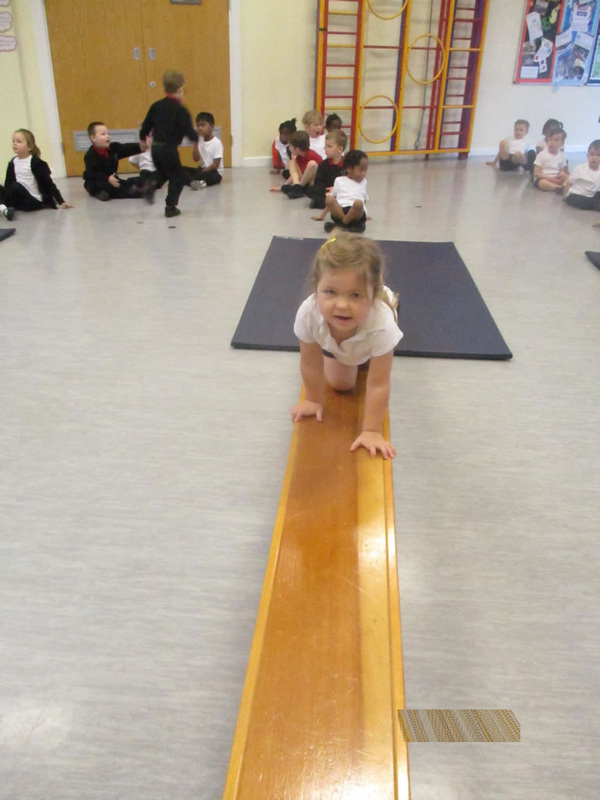 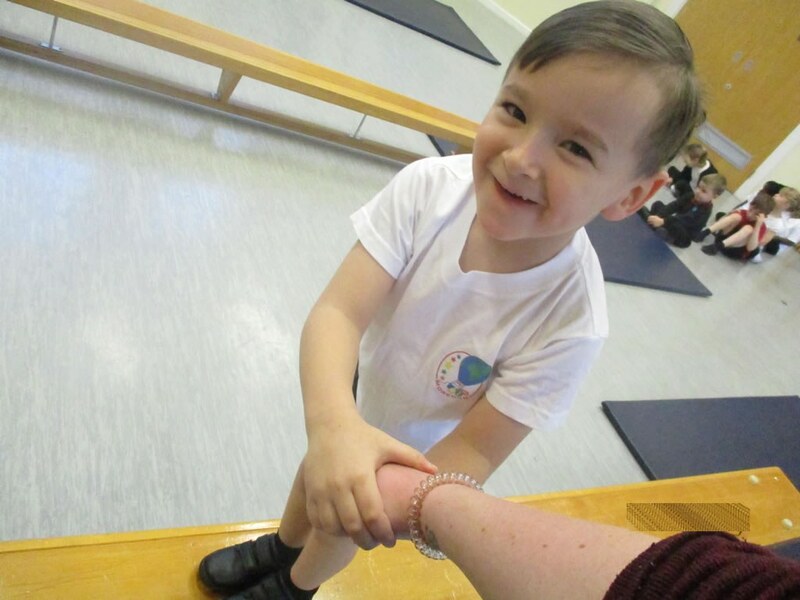 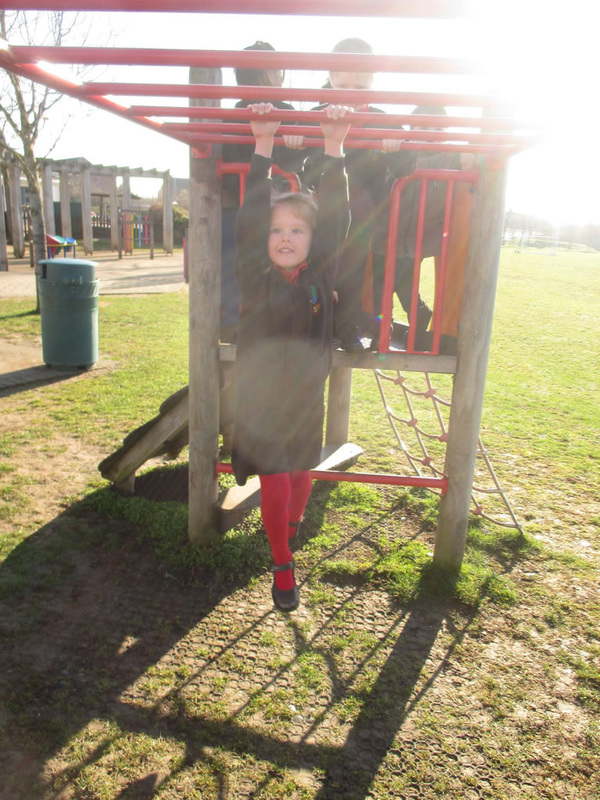 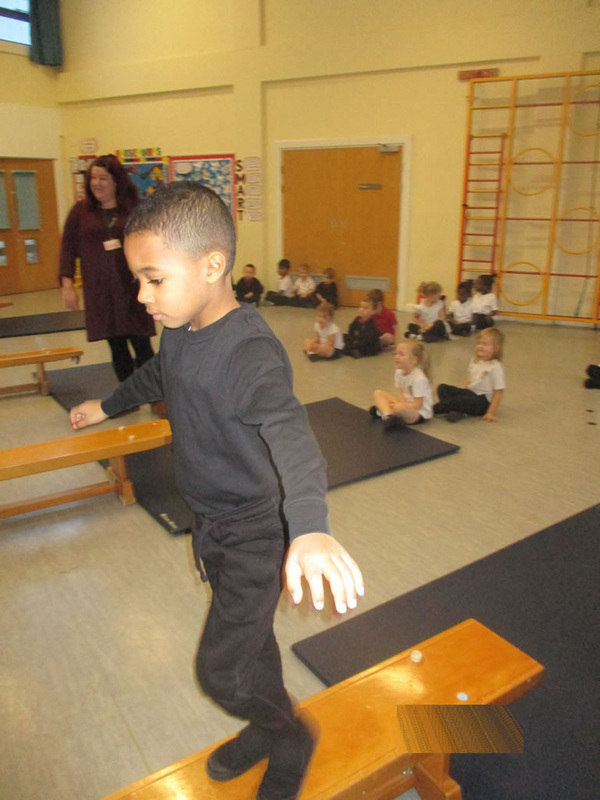 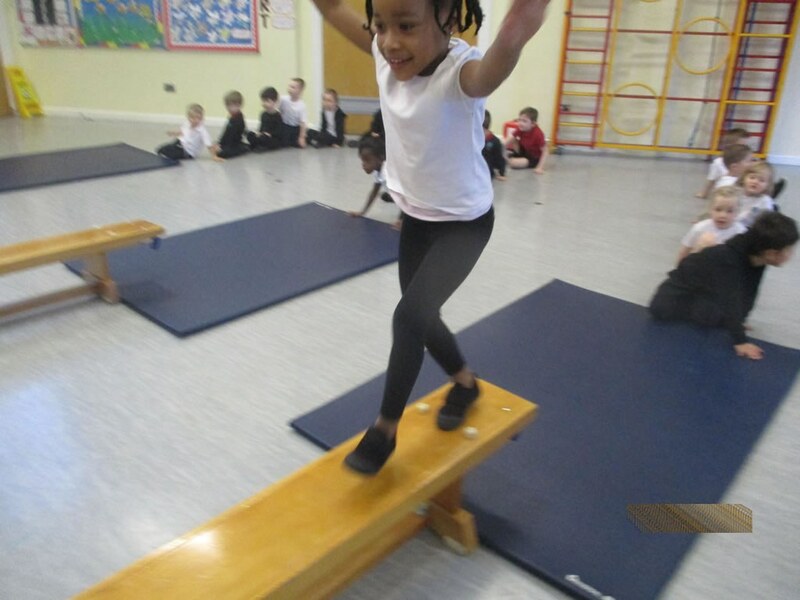 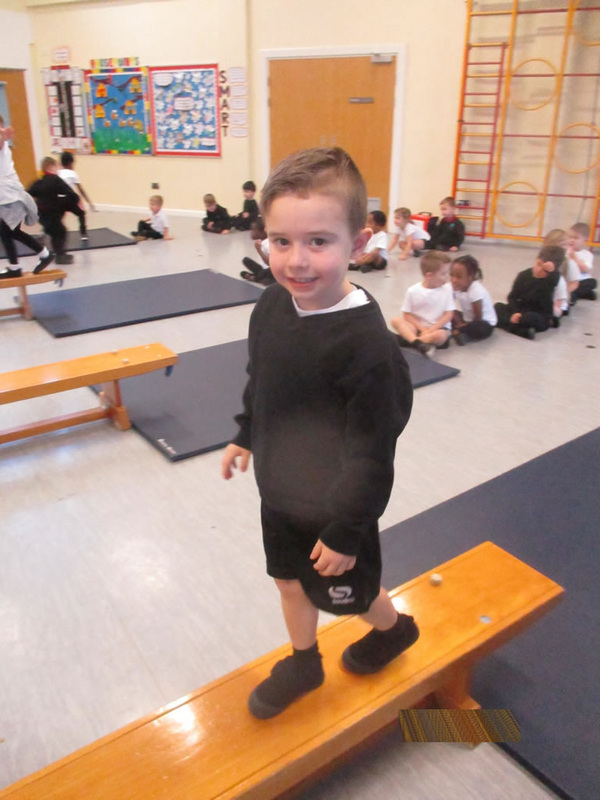 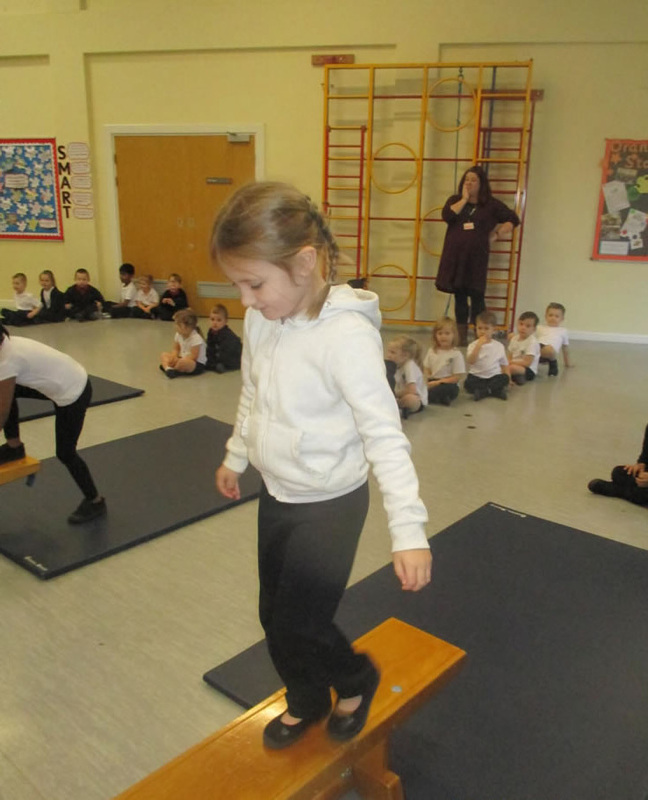 We had our first PE lesson of the term and enjoyed climbing over the benches in different ways. 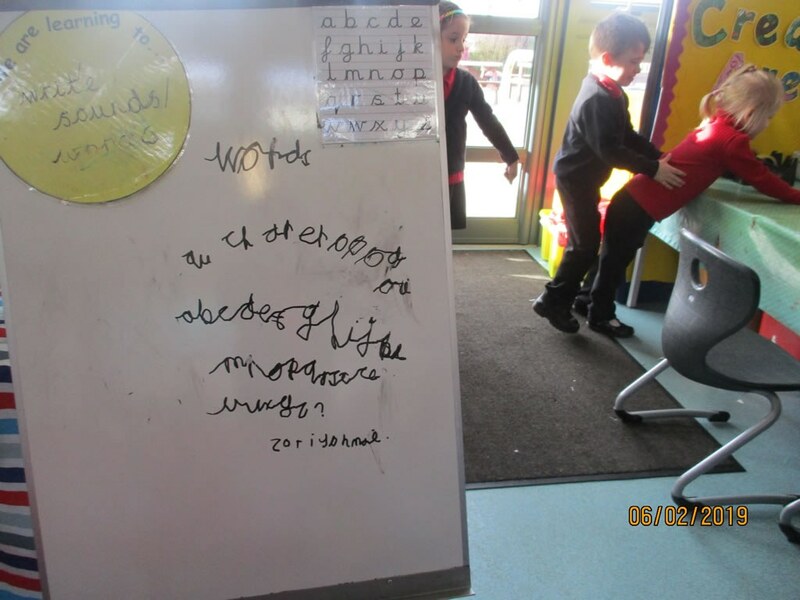 This week we have learnt the sounds oa, ar, or and igh. 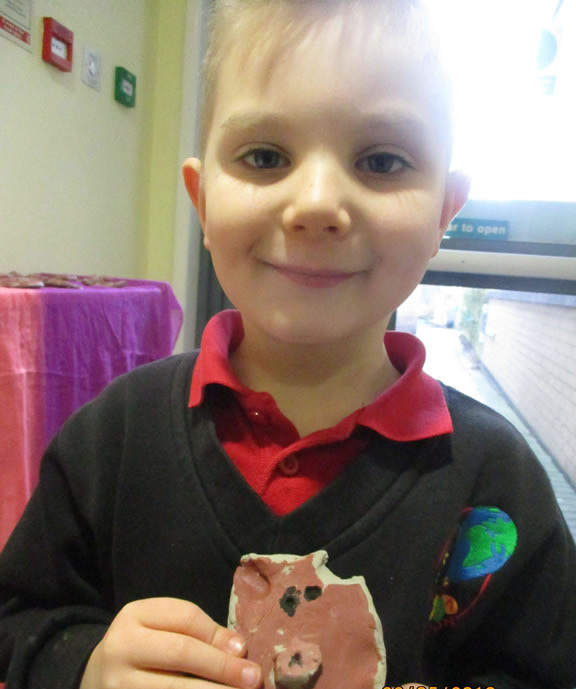 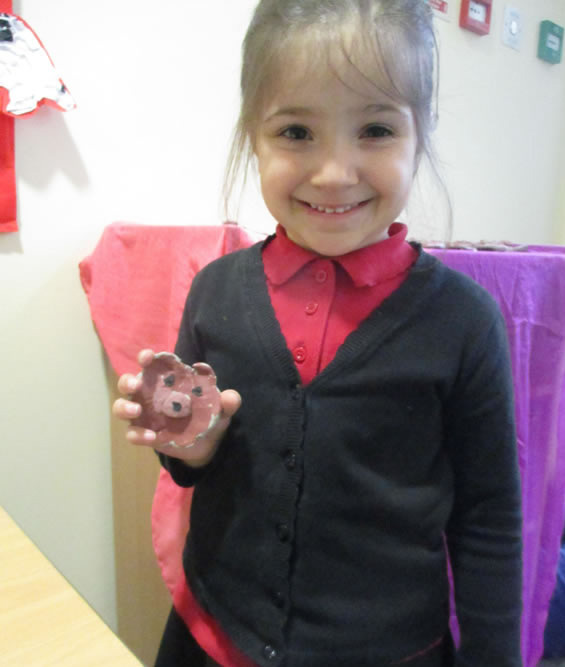 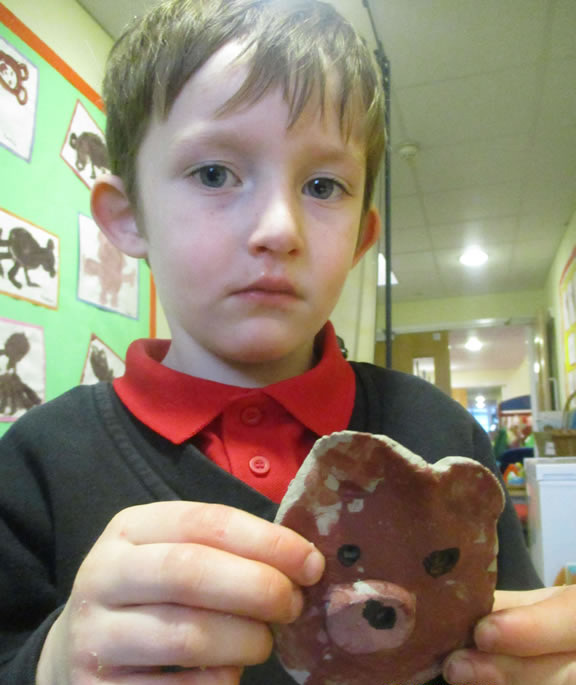 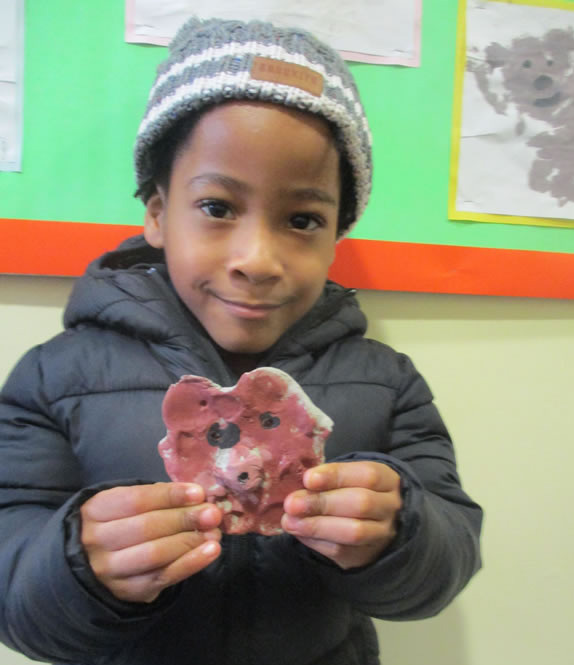 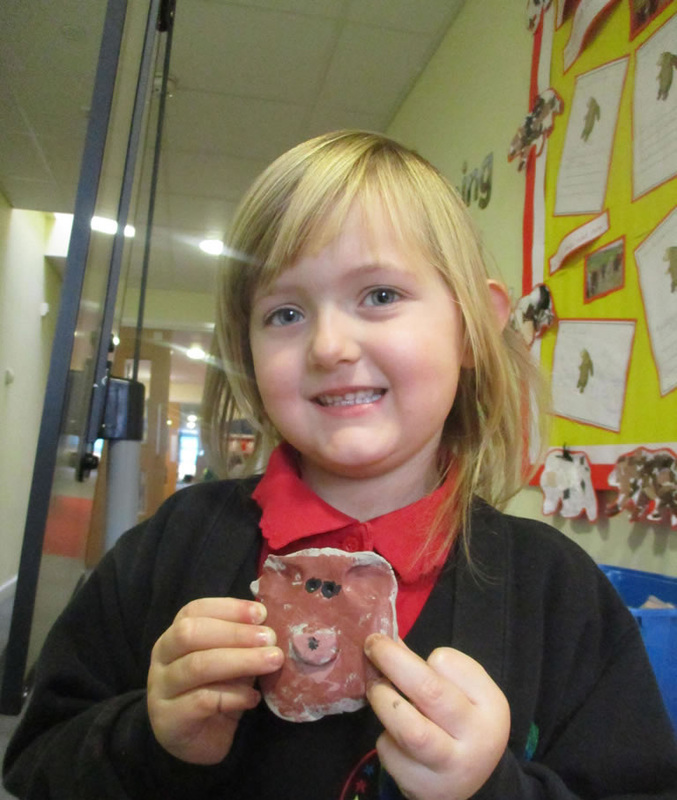 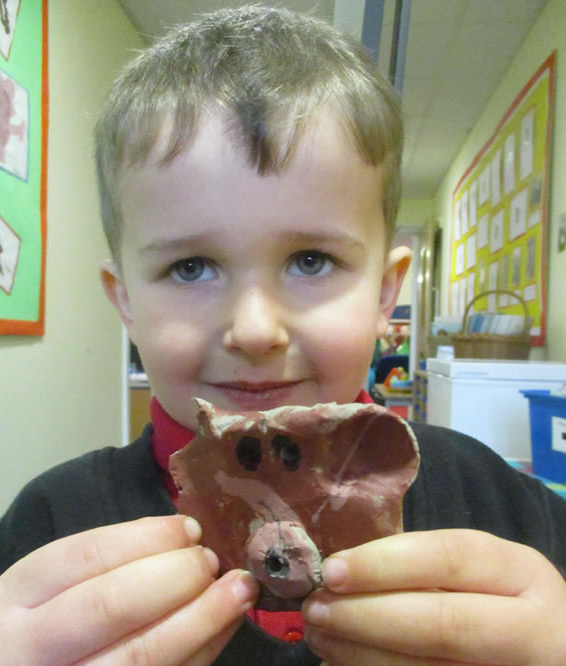 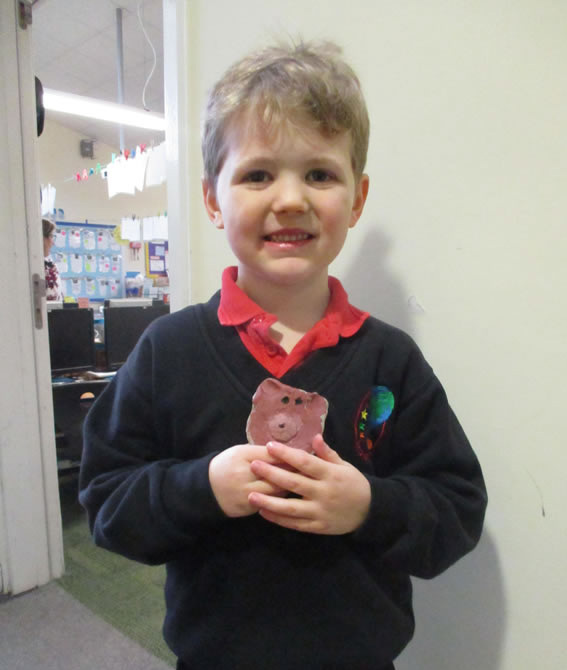 This week has been an exciting week for us we have worked on describing the different settings in our book We are going on a Bear Hunt and we have used clay to make some bear faces which we all really enjoyed. 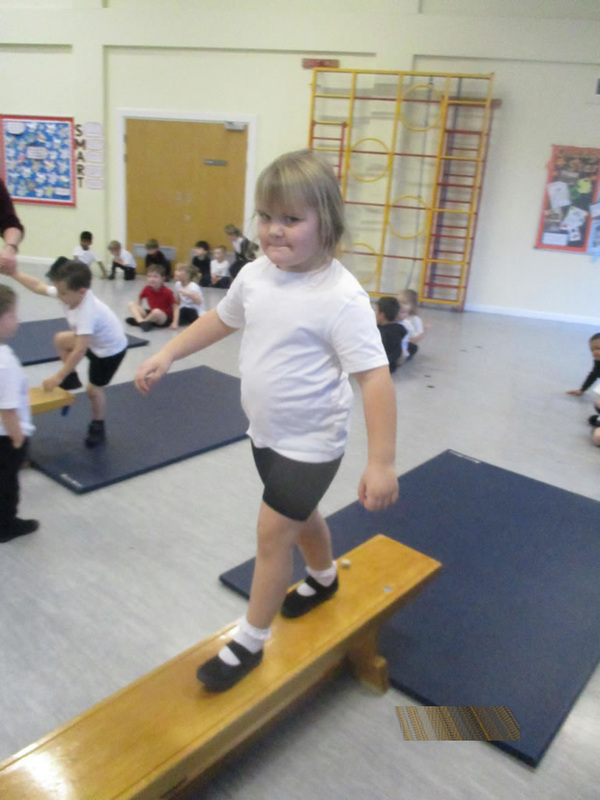 We also had a fitness session on Thursday which was very active and we all came out feeling very warm. 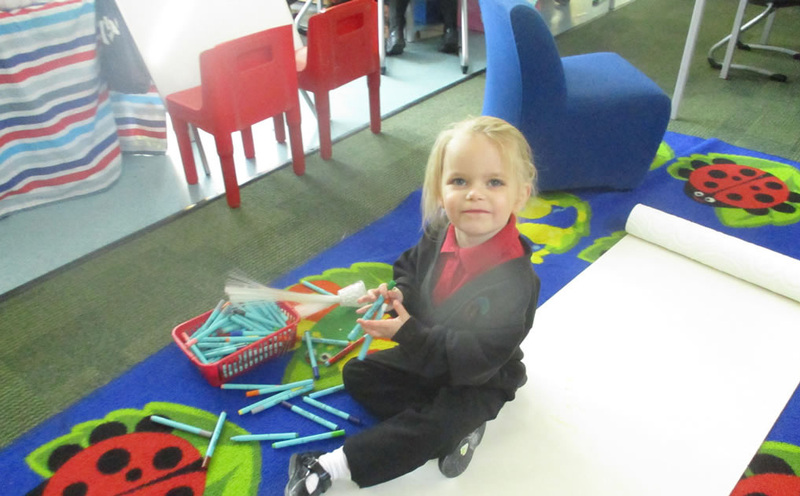 This week has again been a busy week. 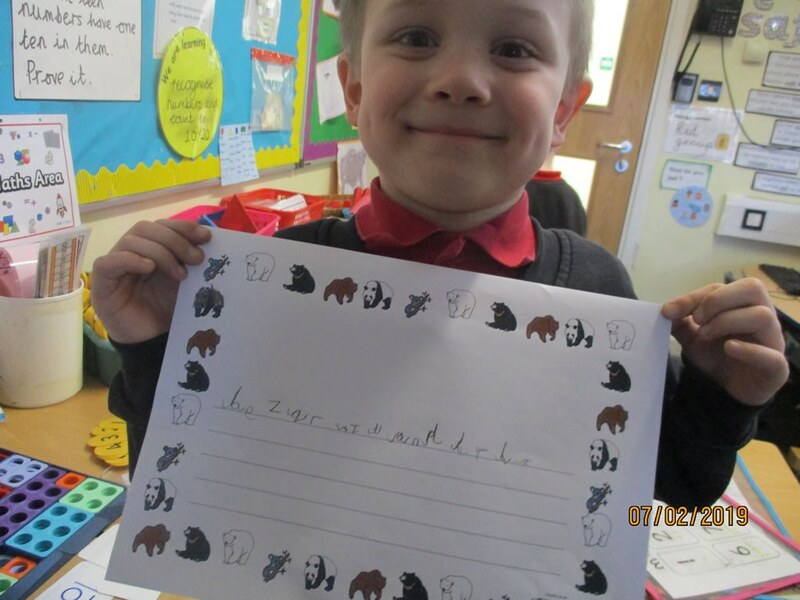 We have been learning lots of facts about bears ready to write facts next week. 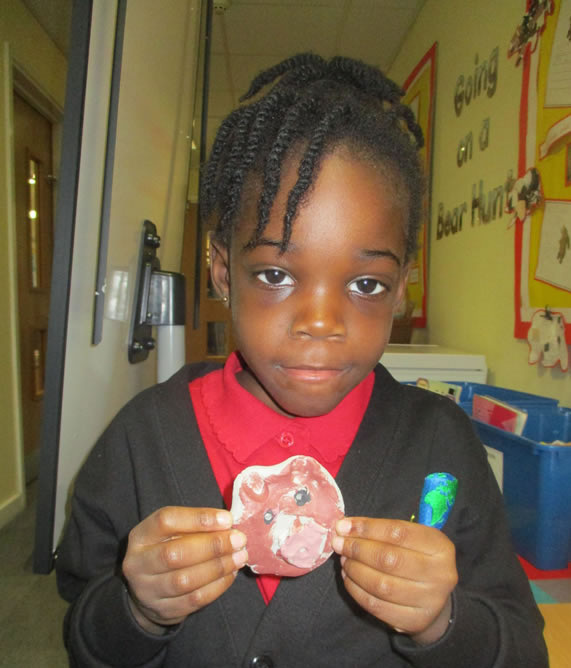 We have been making bear homes using junk materials and learning about the digits in our teen numbers. 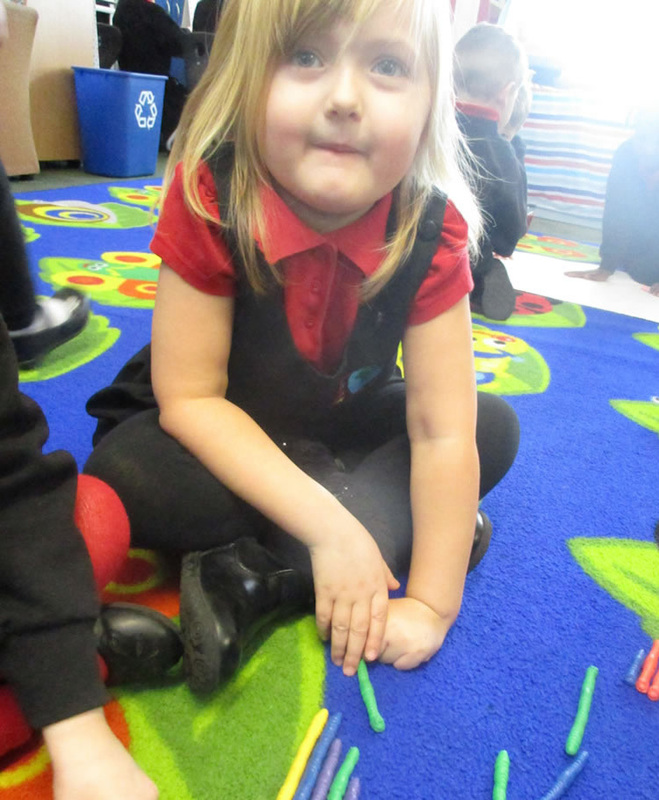 We also had a lovely safer internet afternoon on Tuesday. 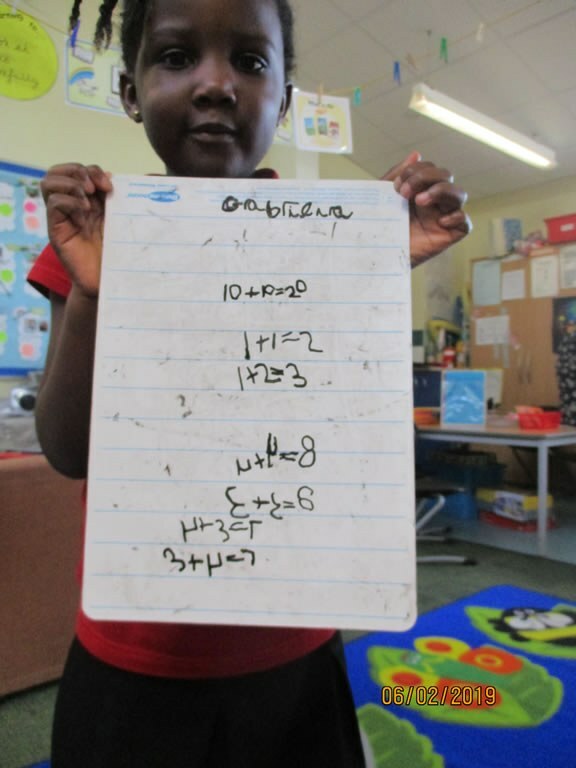 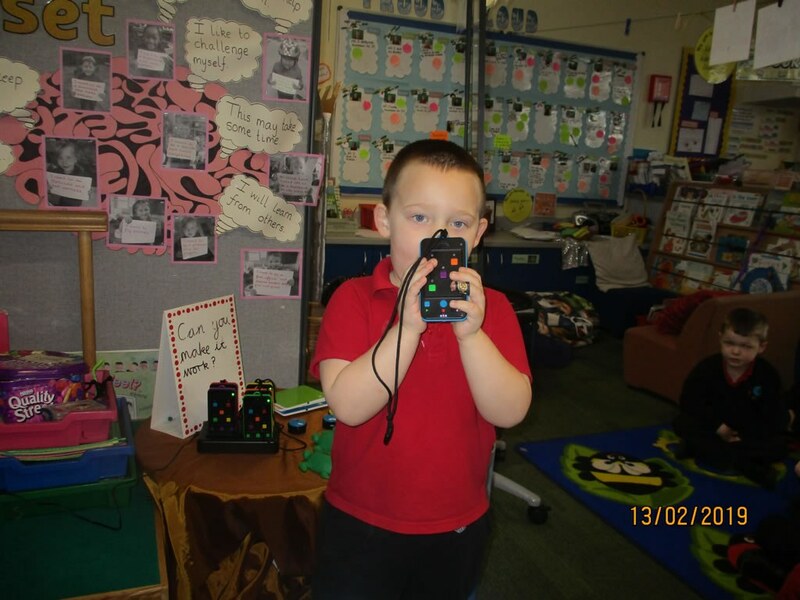 The photos are of children doing their own learning. 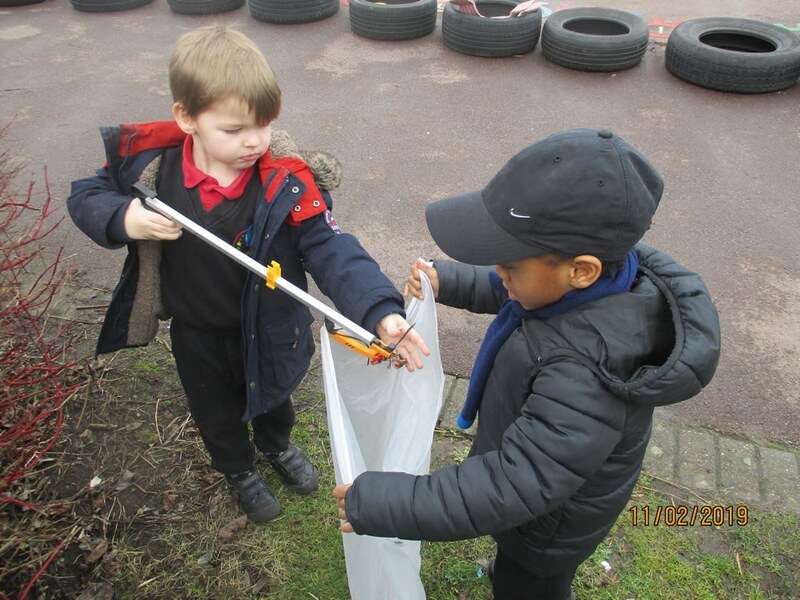 This week we have been learning about how we can look after our environment by picking up litter. 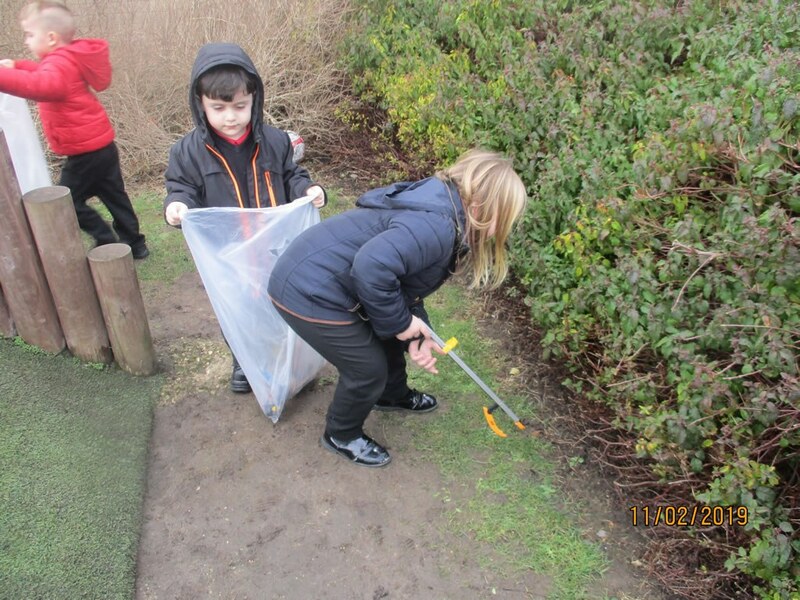 On our Welly walk we used litter pickers to pick up rubbish and we also talked about recycling. 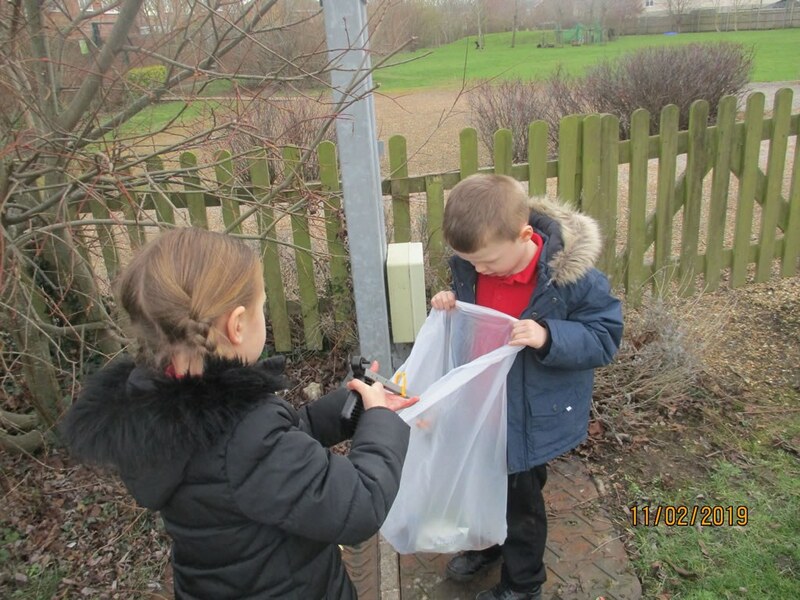 We sorted rubbish into which material it was made from and on the computers we played a recycling game. 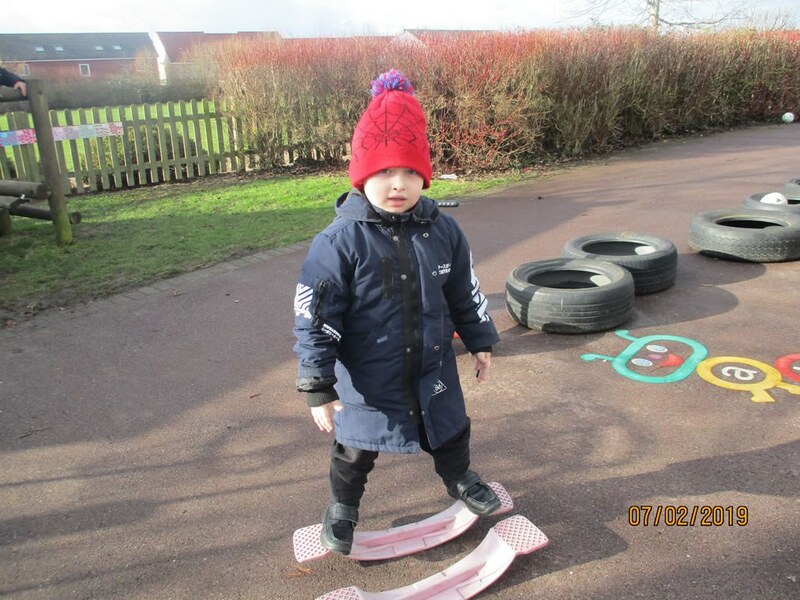 We have enjoyed going outside playing 'What's the time Mr wolf?' 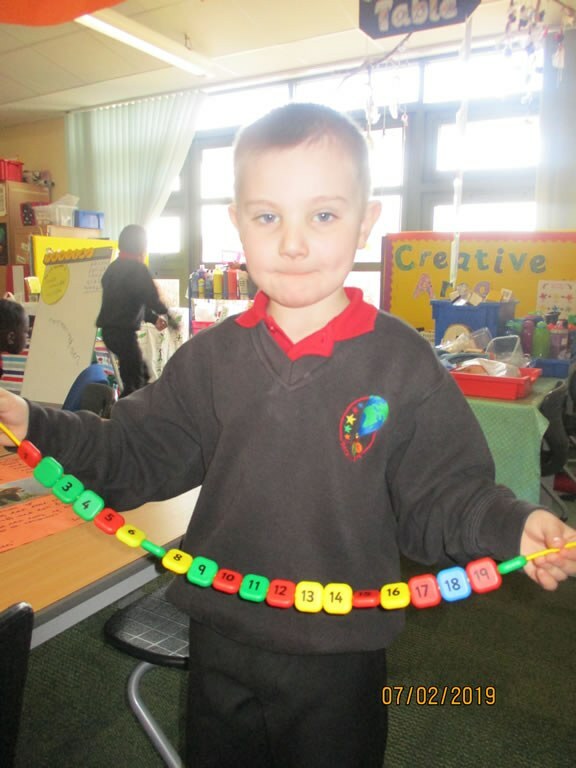 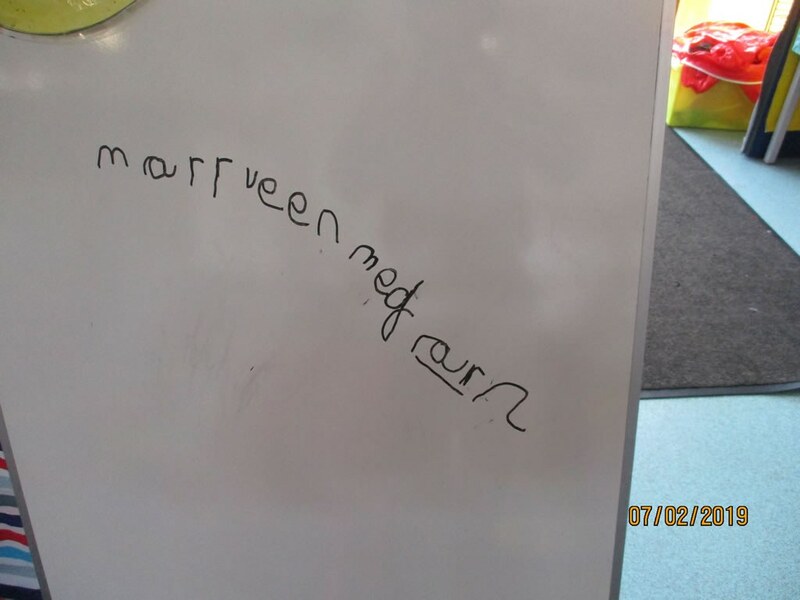 as we have been learning to measure and read times. 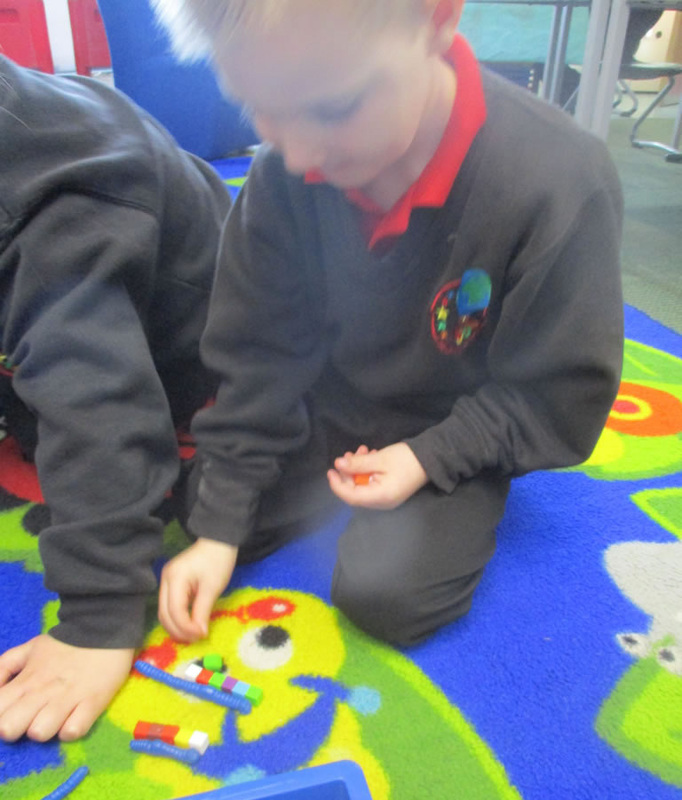 It was Orange groups turn for Show and Tell and the children spoke really well about their toys/ favourite things in the class. 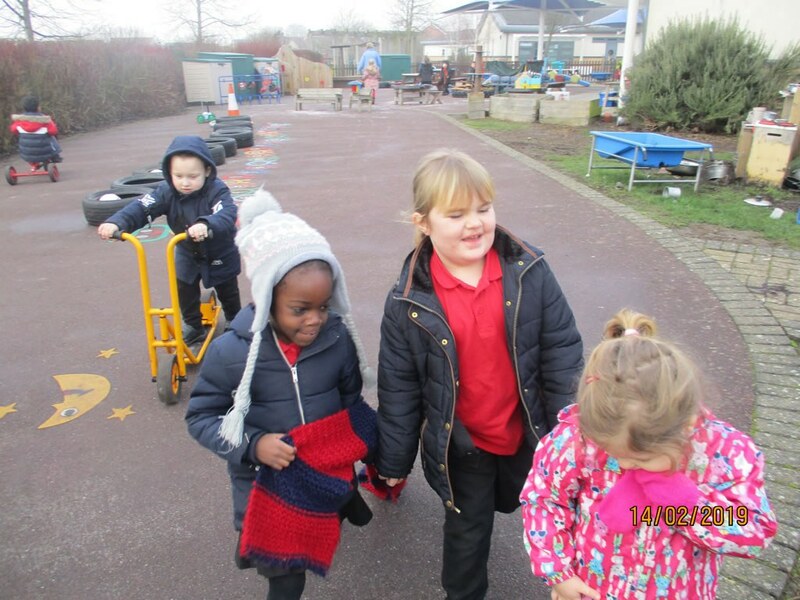 We are all ready for our half term break!